In store we have a wide range of DIY products, tools and materials, car accessories, household and gardening equipment. 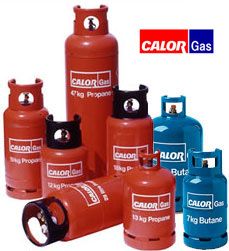 We are suppliers of Calor and Camping Gaz and carry a comprehensive stock of propane and butane and patio gas in all the popular sizes as exchange refills or to buy.. Local delivery can be arranged and we also have some regulators and hose. We cut both mortice and cylinder keys as well as some locker/padlock/ garage door keys depending on type. These can be cut whilst you wait depending on customer levels at the time, or left to be cut and collect later. We are agents for Action Cleaners and take in laundry and dry cleaning that is collected twice each week. All types of cutting equipment can be sharpened – shears, secateurs, hedge cutters, knives, scissors and mowers – cylinder and rotary. We offer a service and/or repair facility for all types of mower. We have a good selection of batteries including a wide range of button cells for clocks and watches that can be fitted – usually whilst you wait.